Cathedrals in St Petersburg include some of the most magnificent and unique churches in Russia with equally rich and decorative interiors. Once you're in St Petersburg you will come across cathedrals that come from different sizes and unique architectural styles. 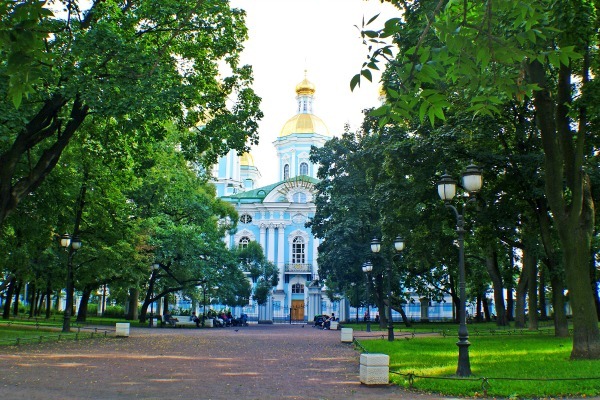 Like churches, they also play an important rule in the city as they are not only an historical and holy place of worship for Russians, but also a tourist attraction. Among the most popular cathedrals, you can find the St. Isaac Cathedral, the Kazan Cathedral or the Smolny Cathedral, just to name a few. They all offers remarkable interior decorations and a varied Neoclassical architectural styles combined with a traditional Byzantine touch. Built during the Russian Empire, where Tsars like Peter and Catherine the Great were leading the country toward a modernized economy and Russian society as a whole, these impressive buildings were designed by the city's greatest architects to show the distinction and esteem of Russia's rulers of that time, and no expense was spared in their construction or decoration. Unfortunately during World War II and the Soviet Era, many churches, palaces, and cathedrals in St Petersburg were critically damaged. However, over the years all of these masterpiece constructions have been restored, while some have been very well preserved up today. Therefore, if you decide to travel to St Petersburg, a visit to the below cathedrals is a must not only for their peculiar beauty, but also for their historical value. With over 50 cathedrals spread out in the city, it is quiet difficult to choose which one to visit, especially if you have only a few days. 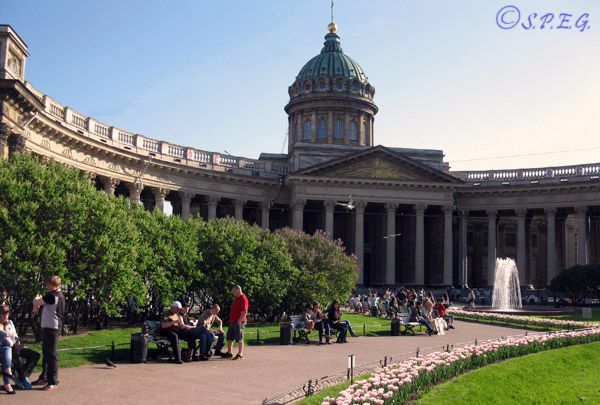 Therefore, to help you better plan your sightseeing, see below our picking list of what we think are the main and most interesting cathedrals in St Petersburg Russia. 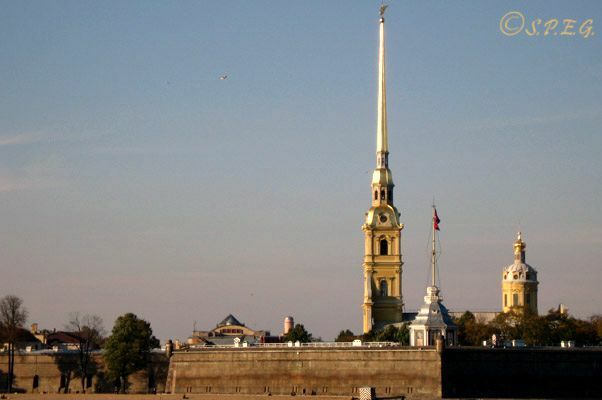 Built in the early 17th century as the city's first settlement, the Cathedral of Saint Apostles Peter and Paul was erected inside the famous Peter and Paul Fortress on a small island. The Cathedral houses the remains of almost all of the Russian Emperors and Empresses from Peter the Great to Nicolas II, as well as a few nice museums and galleries - plus it offers spectacular river-side views. With a height of 101.5 meters, a base over 10.000 square meters and a diameter of the dome of 25 meters, St Isaac’s Cathedral is one of the largest and most decorative cathedrals in the world. Adorned with gold trim, mosaics and paintings, this imposing building will amaze you from the inside and impress you from outside. If you go, don't miss the dome's top, from where you can get the best view of the city. Located on the famous Nevsky Prospekt, the Kazan Cathedral, is one of the great masterpieces of Russian Classicism and among the largest places of worship in Russia. 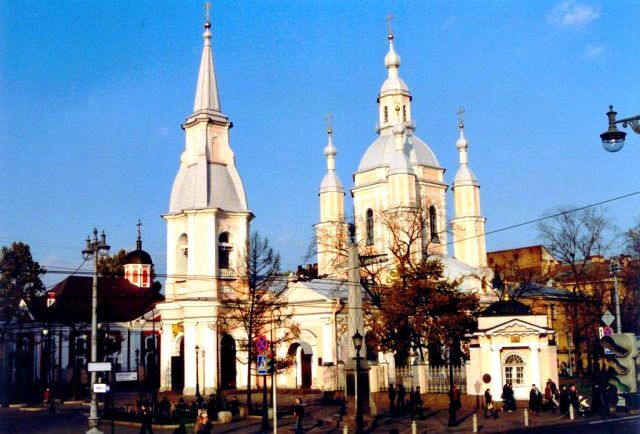 Built from 1801 to 1811 to house the miracle-working Icon Our Lady of Kazan, this magnificent Orthodox cathedral is both a quiet place of worship and a classical architectural landmark, very popular among tourists. The Smolny Cathedral, painted in white and blue with grey cupolas, is honestly the most gorgeous cathedrals in St Petersburg you'll see. Built as a convent during Elizabeth's reign to educate young noblemen and women, this magnificent Baroque style building is open to the public and offers a weekly live concert along with an interesting exhibition on Smolny's history. 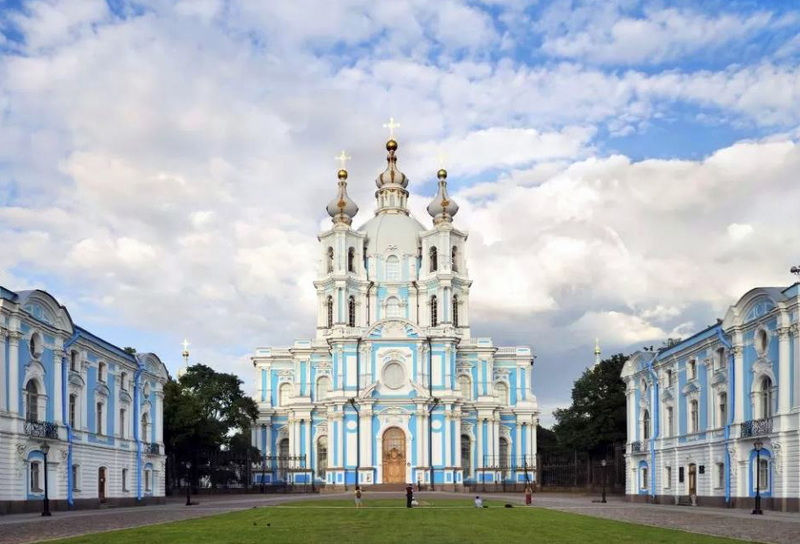 With its outstanding blue cupolas emblazoned with golden stars and a massive column of glory put up in front of the building, the Trinity Cathedral is one of the last examples of the Imperial Russian style in St Petersburg. Once damaged under the Soviet era, and then restored, today this amazing cathedral is a place of worship open to the public which can hold up to 3000 people simultaneously. 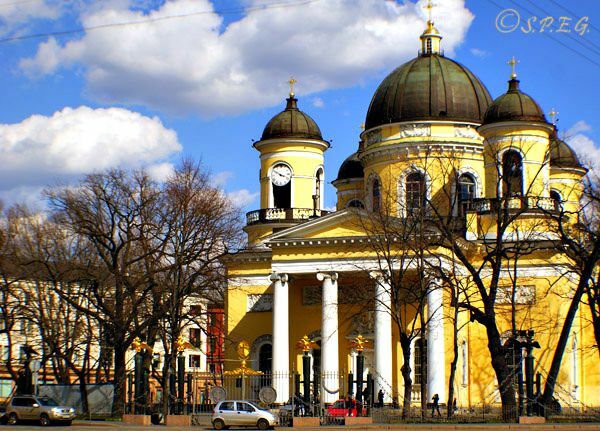 Erected in 1764 on Vasilievsky Island, the construction of St. Andrew Cathedral took fifteen years. Named after the Apostle Andrew, this beautiful, late baroque, pink-and-white cathedral is a peaceful place of worship with decorative interiors and iconostasis to admire. Damaged under the Soviet era, and now fully restored, this small Orthodox cathedral is a hidden gem worth visiting. 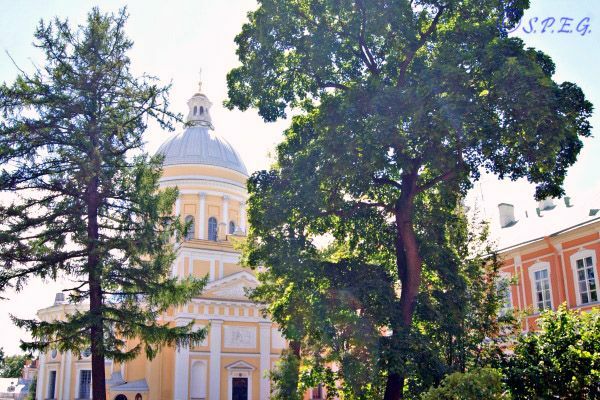 The Trinity Cathedral is the largest building inside of one of the biggest architectural areas of Saint Petersburg – the Alexander Nevsky Monastery (Lavra). 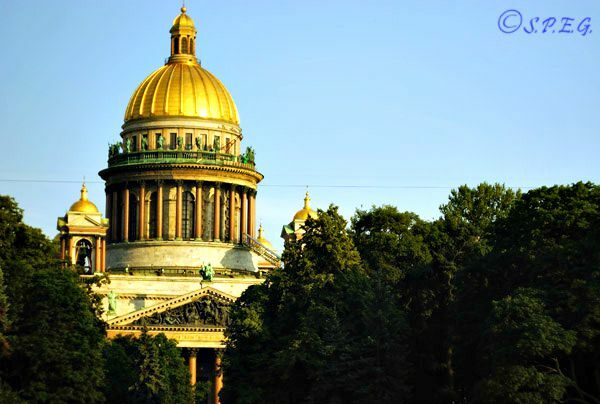 Famous for its scenic paintings and interior decorations, the cathedral along with the orthodox monastery and its well known cemetery, is one of the most important places of worship in Saint Petersburg, as well as a tourist attraction not to be missed. Impressive from the outside and beautiful from the inside, the Naval Cathedral of St Nicholas is another great example of Baroque style architecture, and one of the few Cathedrals in St Petersburg that was not closed during the Soviet era. Inside the building you can find several monuments and images dedicated to the Russian navy along with a unique assemblage of wonderful 18th century icons. 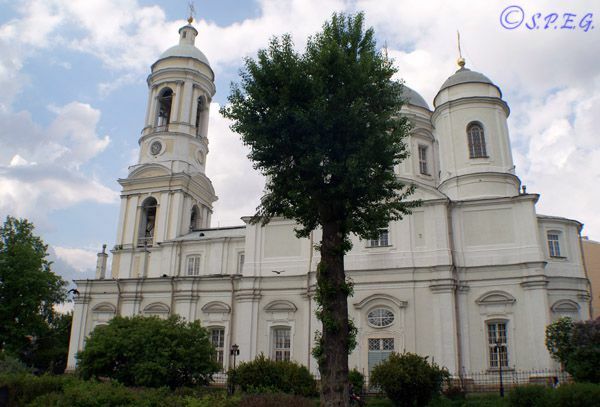 The Transfiguration Cathedral is an Eastern Orthodox cathedral constructed in 1829 as a church of the Transfiguration regiment. 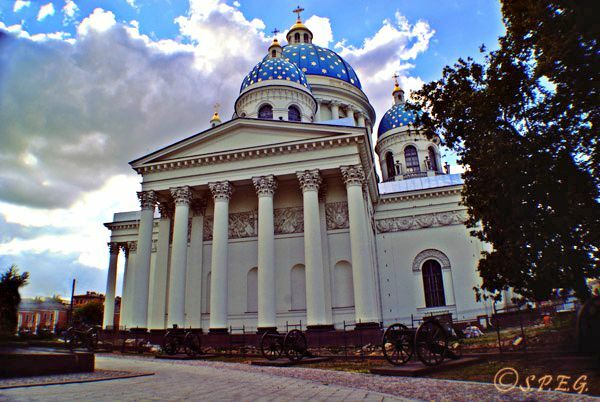 With a beautiful square outside the cathedral, impressive Turkish cannons and an original British-made clock still in operation, today this great architectural complex and place of worship is one of the most visited cathedrals in St Petersburg among locals and tourists. Standing on the eastern part of Petrograd side, the Prince Vladimir Cathedral with its shining eye-catching white facade, is the best example of an Orthodox Cathedral in Russia. Designed by Antonio Rinaldi, the cathedral has five cupolas and a three-storey bell tower. Perfectly preserved since its founding in 1765, the icons on the second floor are worth seeing and the interiors are really breathtaking. Would you like to visit one of the cathedrals listed o this page?